Welcome to TheBestVPN.UK, your favourite tech blog about online privacy protection and my quest to find the best VPN service UK! I’ve started worrying about the safety of my private data a few years back when I realized how easy it was for snoopers to steal them. And when I learned about the global surveillance programs run by the USA, in cooperation with our own government. Since then, I’ve been looking for an effective counter-measure to protect my privacy. And the only effective measure I found was to get VPN and use it at all times. But choosing the best VPN service for your needs is not easy. And that’s why I made my UK VPN reviews to help you find the best VPN UK 2019! Buy VPN UK? Because privacy is a right! These days we’re all ultra-connected. But from the point of view of a security expert, it feels like we’re giving up privacy for convenience. And that’s where I draw the line. While I love new technologies that make our lives easier, they’ve increased the risks of third parties (governments, companies, hackers) to track us down. And the price to pay is too damn high! That’s why I recommend using the best VPN UK on all your devices: Desktop and mobile. Maybe you don’t realize how much of your sensitive data is readily available online. And I’m not talking about what you’re willingly sharing on social media. But I’m talking about your digital footprint: All these bits of information that you leave when browsing websites. While they’re anonymized, it’s possible to gather them and to identify you and your browsing habits. And that’s why there are so many free services out there (looking for the best free VPN aren’t you?). Because these companies collect and sell your data to the highest bidder! Not to mention hackers who can intercept your data over WiFi. Or the British security services who can legally snoop and hack your devices to check your browsing history, in the name of their fight against terrorism. The Internet is the wild west and everyone’s after your data. It doesn’t matter if you’re on Windows, Mac or Linux: We’re all concerned. So make yourself a present you won’t regret and buy VPN, especially with the best VPN service. I’ve written an article where I explain what is VPN. So I’ll keep it simple here. Keep it simple is my motto BTW. On this best VPN review blog, I make it a point to write in simple terms that you can understand, even if you’re not tech-savvy. And when it gets technical, you’ll find explanations and images to clarify each point. It’s important for me to make UK VPN available to all. A UK VPN service provides users with a secure, encrypted connection between their device and a VPN server. Most VPN providers call it a tunnel. And I’ll stick with this representation because it’s a great one. Indeed, it clearly shows that all the traffic goes through this tunnel, which protects your data from all snoopers. The best VPN UK obfuscates your traffic with a military grade encryption. As a result, no one can see your traffic: Not the GCHQ, not your Internet Service Provider (ISP) and not any hacker! Because the NSA’s using the same algorithm to protect their TOP SECRET documents. So it’s extremely reliable. Of course, your traffic is back in the clear when it gets out of the tunnel so that websites can receive your requests. And that’s why you should only connect to websites with the https protocol, to keep your data encrypted at all times. You can see the padlock icon in the address bar of your browser when the site offers an SSL certificate. And if you check now, you’ll see that this website is secure! So you can find the best VPN service, risk-free. In addition, the best VPN app and best VPN service will hide your IP address behind the address of a server. It can be the address of a server that users share, or dedicated IP addresses. This allows you to browse websites anonymously. And to make sure no one can track and identify you. And don’t tell me that you’ve got nothing to hide! I’ve heard this sentence too many times and I can’t understand people giving up their right so easily. Because government surveillance programs threaten privacy all over the world. And people are fighting for it every single day. So join the resistance and protect your intimate area. While I don’t really appreciate the man, I think J. Assange is right when he says: “When society goes bad, it’s going to take you with it, even if you are the blandest person on earth.” Maybe you don’t feel threatened yet. But what about tomorrow, when it’s too late? Already some people need to buy VPN to protect not only their privacy but also their life. Take the journalists, political activists or whistleblowers, for example, who put their life on the line only to do their job. Or simply to do what’s right. Thanks to a UK VPN, they can bypass internet censorship and communicate online safely. And the best VPN provider UK usually give away a free UK VPN for their protection. So if you feel like you deserve one, get in touch directly on the VPN website. Or just get the best VPN service by yourself. What is the best VPN UK 2019? First of all, I recommend only the best-paid VPN. Because you can’t get a premium service if you don’t pay for it. If you pay peanuts, you get monkeys, as you well know. But the price is important of course. So I focus on finding the best value VPN. And luckily enough, a cheap VPN UK can offer great protection and great features like the kill switch and IP leak protection. Privacy protection comes at an affordable cost! The essential features will ultimately depend on your online activities. Because you can’t watch UK Netflix abroad if your provider doesn’t offer a dedicated server that works with the service. However, it’s still possible to decide what is the best VPN UK overall. It’s the one which allows you to do more activities online. And which provides the greatest experience, thanks to the number of servers, locations and simultaneous connexions. Not to forget a strong customer support. Indeed, if you buy VPN, you want it to work. And if it doesn’t, for whatever reason, you need to get support immediately. While you could get help via email, the best VPN UK should offer live chat. 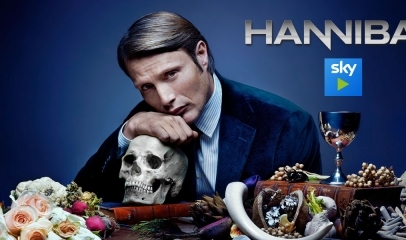 So you can find the right server to watch UK TV abroad within minutes. What’s the point to get an answer after your favourite show’s over, right? Below is my ranking of the best VPN UK, la crème de la crème. It doesn’t get better than this in terms of speed, privacy and unblocking. And you could honestly pick any of this top UK VPN. Some of them provide a free trial or a money back guarantee, to try the service. 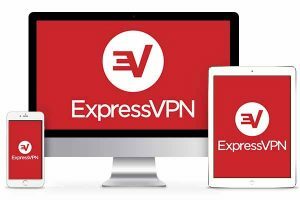 With ExpressVPN, you cannot go wrong. No doubt that it is the best VPN UK. After having done my VPN comparison, this is the one I personally use on all my devices. It’s widely known and has been recognized as one of the best VPN UK for several years. Above all, I don’t see any immediate competitors at the moment who will be able to take its spot as the best VPN service. And that is even if some of the competition is moving fast. In other words, this is just excellent in every way. Firstly, it offers ultrafast service and very good quality. Next, it gives you the ability to connect to the VPN server of your choice in any of the 94 countries in its network. It’s basically an open bar! Do you want to stream videos in high definition? No problem. Or do you want to download tons of files in P2P? Go ahead. Of course, if you only want to browse websites anonymously, ExpressVPN will do the job perfectly. For you to make even simpler: Nothing can beat it – and especially not censorship. After that, it’s good to know that it doesn’t matter whether you use PC, Mac, tablet or smartphone, as there are easy-to-use-use applications for all of them. You can even install it directly on your router in order to keep the whole household protected. In other words, you are completely protected on all your devices with the best VPN UK. Lastly, if there is anything to complain about, as you can see in my review of ExpressVPN, it would be the price. This not the cheapest UK VPN. Luckily, here is a great promotion going on right now incl. 3 months for free. Thus, you will also be able to try it out without any risk thanks to the 30-day money back guarantee. 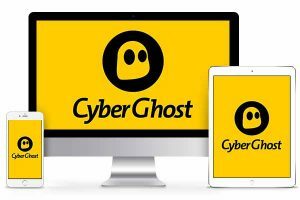 The second best VPN service I tested was CyberGhost, one of the market leaders in Germany. And we completely understand why! First thing, it is cheap. You can find promotions all year round, as right now with 6 months free. And secondly, it offers a great service that is only improving. CyberGhost was not in the top of my recent UK VPN comparison. The reason that it didn’t make the cut for the best VPN UK was a somewhat heavy application and a lack of speed efficiency when it came to streaming. But they have certainly raised the bar by offering two new versions with completely new features. They also added another string to their bow: the ability to unlock the largest streaming platforms. This simply changes everything. Now you can truly do everything with their service: fight against censorship, download torrents and browse anonymously. In my review of CyberGhost, you can see that it is available on most platforms. You will be able to use a native application whether your PC is running Windows, Mac or Linux. And it’s the same for smartphones and tablets on Android and iOS. The only drawback I see is its network. Although it offers many servers, they cover less than a third of all countries in the world. If you want to give it a try and enjoy its 7 simultaneous connections, you can do so without any risk for 45 days without having to buy VPN! In the third place in my ranking of the best VPN service, we find NordVPN. Their service is solid and worth considering if you want to buy VPN. Millions of users entrust it with their data every day when they browse the internet without censorship or surveillance. It’s not easy to beat a company from Panama when it comes to anything security related. 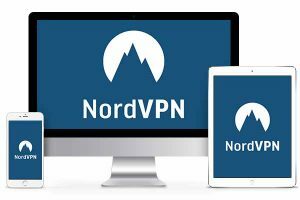 In addition to unlocking the most popular streaming sites and allowing download of torrents, NordVPN invests heavily in security, which is something we value when looking for the best VPN UK. So you can surf with a dual VPN connection for even more protection. And you can also transmit your data via Tor, the famous network whose mission is to guarantee the anonymity of its users. Not to mention a myriad of features that will protect you against everyday threats that you did not even know about. I wrote a very detailed article with my review of NordVPN. In this one, you can find the different software for Windows, Mac and Linux (for your computer). There are even screenshots of smartphone apps for iOS and Android. If you are wondering why NordVPN is not the best VPN service, I’ll be able to give you one simple reason: There are not enough servers in the United Kingdom. Everything else is fine. You can easily check it out yourself and give it a chance for 30 days, without taking any risk, and benefit from a 2-year subscription for the price of 1. In search of the best VPN UK, we find the Swiss service VyprVPN right at the bottom of the podium. So why focus specifically on China with this VPN? Because their team has meticulously created their own protocol: Chameleon, which allows overriding the ban set up by the Middle Empire. And that’s not an easy task! Even if you do not intend to visit Beijing or Shanghai in the nearby future, you should take a look and possibly go buy VPN VyprVPN. With their service, you can unlock most video sites and you can also download torrents anonymously. Some time ago, this was not the case. 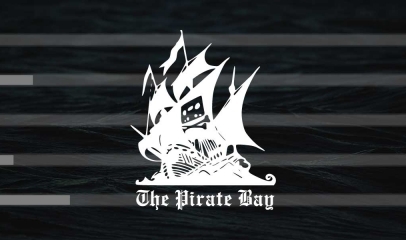 The company has now passed an audit to guarantee a VPN without logs and has authorized the torrents. If it continues on this path, the company could likely offer the best VPN UK in the future. In addition to offering VPN clients on all major platforms (Windows, Mac, Linux, iOS and Android), you can also set it up on your router. 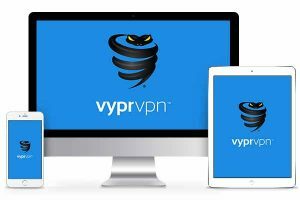 Although all connected devices must share the connection, as I explained in my review of VyprVPN, it helps protect the whole family. 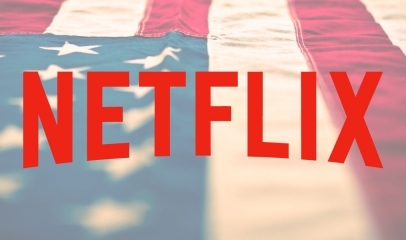 What is missing with VyprVPN for it to go further is the possibility to see Netflix UK abroad … Also, it is only possible to benefit from their 30 days money back satisfaction guarantee if you pay with PayPal. It’s good to know if you want to try your luck with #4 among the best VPN UK and get 68% off the subscription. This is what we could call the Little Thumb among the best VPN UK. While PrivateVPN has few servers, it does the job very well. And it deserves its place in my VPN comparison 2019. With this, you will not be disappointed; it is easy to use, fast and safe. And if you are not too tech-savvy, you can take advantage of their remote installation service! On a daily basis, PrivateVPN has everything that a bigger service has. It provides access to all the common and expected streaming platforms. And if you want to download torrents files safely — no problemo. In addition to not logging anything, you can use the BitTorrent protocol on all servers. It’s not far from being able to claim the title as the best VPN service, as you can also read in my review of PrivateVPN. I’m not a huge fan of their interface, which can come across as a little old fashioned, but there are native applications available for download for all devices. That goes for your computers that run either on Windows or Mac, as well as on your Android or iOS smartphone. However, this is also one of the main reasons that it does not rank higher among the best VPN UK. In order for it to go up the ranking list, it would need more servers, especially in the United Kingdom. Some major languages, such as French, are missing, but as an English-speaker you can easily go ahead and get 5 free months and try it for 30 days without any risks. Originating in Bulgaria, VPNArea offers a very interesting value for money proposition. Thus, this can be a good reason to buy VPN. Their latest version is very successful, both visually and technically. For specific regions, they offer a VPN that should be impossible to block thanks to their secret manufacturing. Nonetheless, you have to know that while it is not the best VPN UK, the performance lacks nothing. Only their number of servers for the United Kingdom seems a bit low. Find more details in my review of VPNArea. It is not surprising to find Hotspot Shield at a good rank in my comparison of the best VPN UK. This is because it is the UK VPN that is deemed most appropriate for beginners. If you buy VPN, it has a Catapult Hydra protocol that improves your overall performance in comparison to the competition. On the other hand, the problem lies in the number of countries covered. Read about all the features in my Hotspot Shield review and why it is in the top best VPN UK. Originally available only in the browser, ZenMate has evolved to become a true VPN. And all this is without losing what made it successful in the first place: a minimalist and user-friendly interface. However, if you want to install the UK VPN client on one of your devices, you will have to pay because that is not available as a free version. Buy VPN if it fits with your exact needs. For more details, read my review of ZenMate. 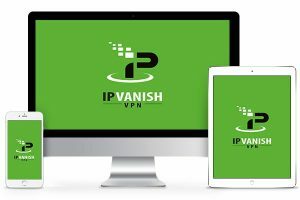 As one of the ancient VPNs of the old world, IPVanish is not a strong candidate for the best VPN UK. This is because it deliberately leaves out all streaming sites in favour of gaming. Basically, if you want to watch Netflix or any similar site, do not bother looking into this provider. However, if you want to play online, even competitively, I warmly recommend it as one of the best UK VPN on the market. In addition, you can check my review of IPVanish if you want to learn more. Lastly, if I would have to describe PureVPN in two words, it would be — not expensive. That’s because their commercial policy has always been very aggressive. But I reassure you: That does not mean that you will get a discounted service if you buy VPN that allows for both streaming and downloading torrents. The only negative point to mention would be that the log policy is not completely in the top when it comes to guaranteeing your anonymity in comparison to the very best VPN UK. However, you can find all the info in my review of PureVPN. On this VPN site, I focus on VPN service reviews and speed tests. And they’re at the origin of the ranking above. Also, they’ve allowed me to determine what the best VPN UK is. I’ve been travelling frequently for work. And I tried many Virtual Private Networks over the years. Because I realized on my first trip abroad that I couldn’t watch BBC iPlayer outside UK. Nor could I watch Sky Go abroad without a good VPN. That was a huge disappointment for me, alone in my hotel room with nothing interesting to stream. Naturally, I’ve tried to find the best free VPN UK. Because I was stingy. But I soon became aware of the risks of being the product. 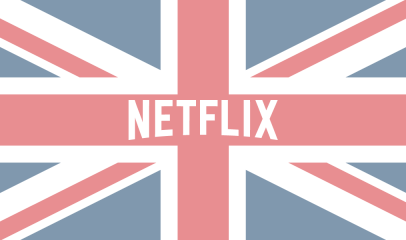 And I couldn’t unblock US Netflix that way… So I started trying as many VPN providers UK as possible, to find the best VPN service with good speeds and no logs policy. And I didn’t want my time and my experience to go to waste. Therefore, I started what is now (I hope) one of the best VPN sites. While you can find reviews of the free plans, I tend to try and comment on only the features of the premium plans. Not all Virtual Private Networks are created equal. And there’s much to consider before making up your mind. But I’m here to help you narrow your search for the best VPN UK: Reliable, secure and with a good value for the money. Also, I wrote articles dedicated to specific activities. I got you covered if you want a VPN for betting, a VPN for torrenting or a VPN for gaming. Everything you need to buy VPN! 1. Watch UK TV abroad, How to unblock English TV streaming?